Economy units with 1 queen or 2 doubles. 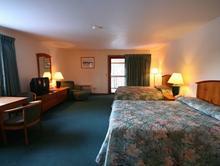 Clean, comfortable, affordable accommodations. Luxury log units with 1 king or 2 queens. 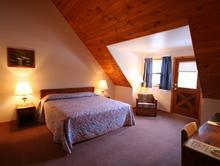 Log Cabin feel with private balconies and cathedral ceilings. Large indoor corridor units with 1 king or 2 queens. Over sized units with private balconies. Large jacuzzi units with 1 king or 2 queens. 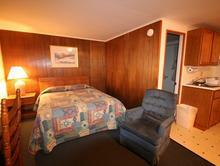 Over sized units with 1 or 2 person jacuzzi tubs. 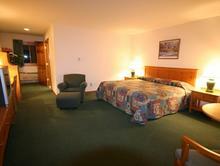 1 & 2 bedroom suites with king, queen, double, and twin day beds. 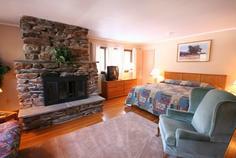 Units have full kitchens, and jacuzzi tubs, and sleep 6 to 8 guests.